Suits vs. tuxedos for weddings: which is right for you? | Crestline Ent. Suits vs. tuxedos for weddings. Which is right for you? Is a suit or a tuxedo right for your Chicagoland wedding? Trends change over time. Windsor ties really gained popularity over the past ten years, but now bowties are making a comeback, as you may have noticed on recent award shows. So when it comes to suits vs. tuxedos for weddings, anything goes. The video below is helpful, as it begins by clarifying the distinction between a suit and a tuxedo. For example, a suit uses plastic buttons and tuxedos use cloth buttons. For example, suits don’t typically include a vest, but tuxedos do. For example, a tuxedo uses satin embellishments, suits don’t. 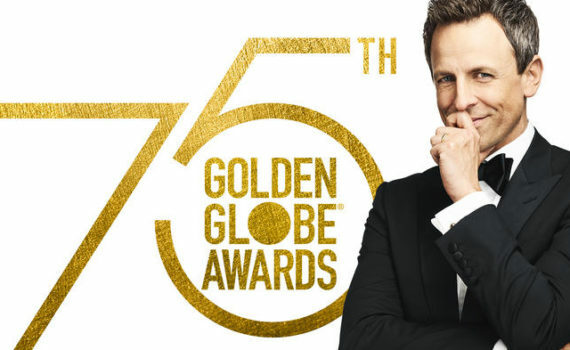 The most popular tuxedo colors are black, like funnyman Seth Meyers (above) wore when he hosted the Golden Globe Awards, followed by grays, blues, browns, ivory, and white. You’ll also note Mr. Meyers is sporting a bowtie which Hollywood fashionistas are trending towards these days. The video points out that one of the worst questions asked at a wedding is, which man is the groom? This is a problem when every groomsman wears the same suit or tuxedo as the groom. The video suggests that you coordinate the groom’s tie and vest with the bride’s colors so there is no doubt who is getting married, and have the groomsmen forgo the vest, or wear a different colored vest. Here’s another tip if you’d like to distinguish your ushers from the rest of the groomsmen: they can wear windsor ties and the rest wear bowties, or vice versa. A final thought. Men wear suits to work or a funeral. But a wedding is special. This is your chance to go all out and look the best you’ve ever looked. If you don’t wear a tuxedo now, then when? For the record, Crestline Entertainment djs will wear a tuxedo to your event, unless other attire is requested. Check us out. We offer the finest wedding entertainment for Chicagoland brides and grooms.